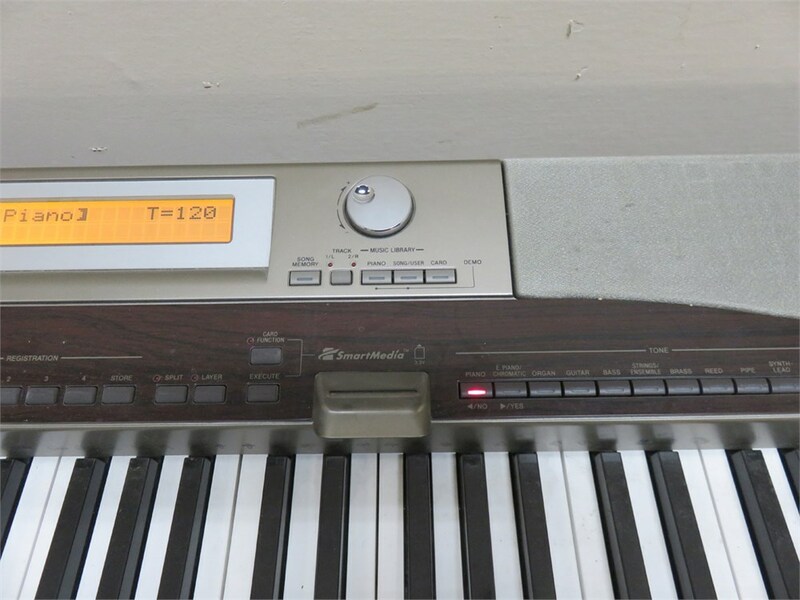 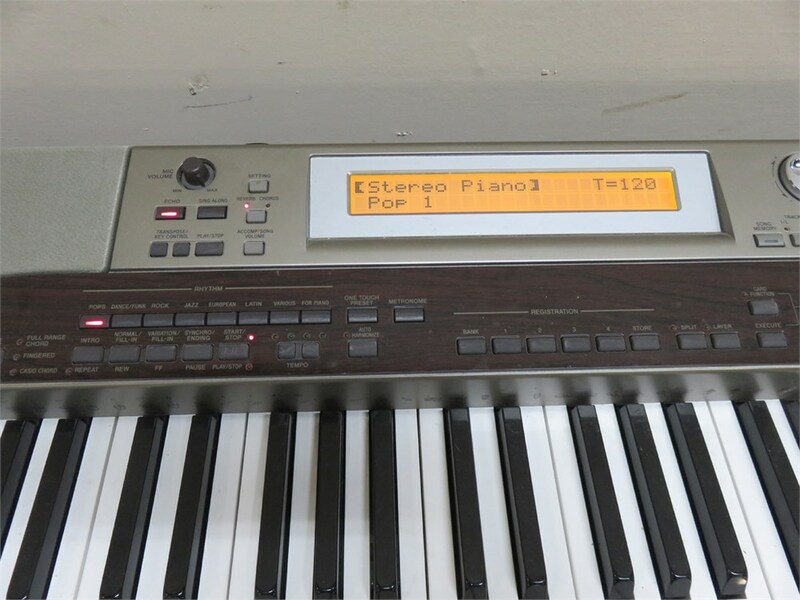 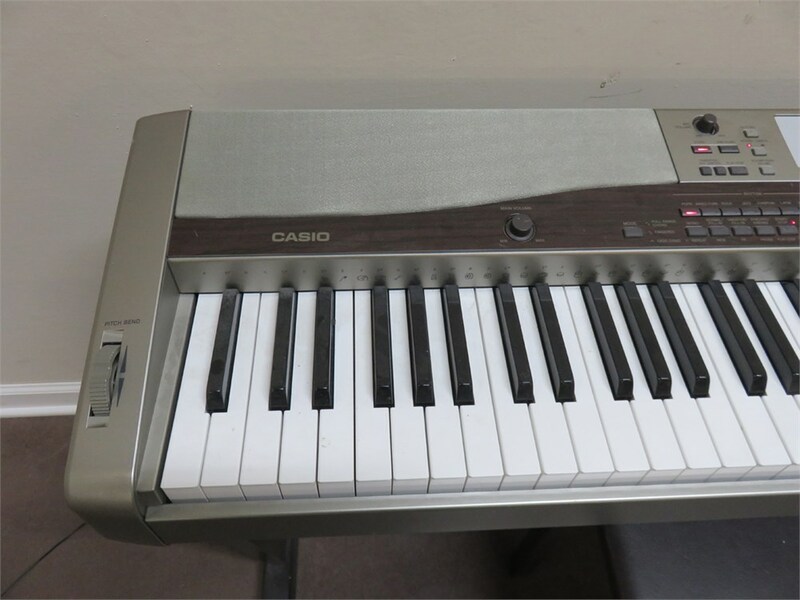 Here is Casio's PX-120 Privia 88-key digital piano in very good condition, with book holder and very stylish Casio C565 wood stand included! 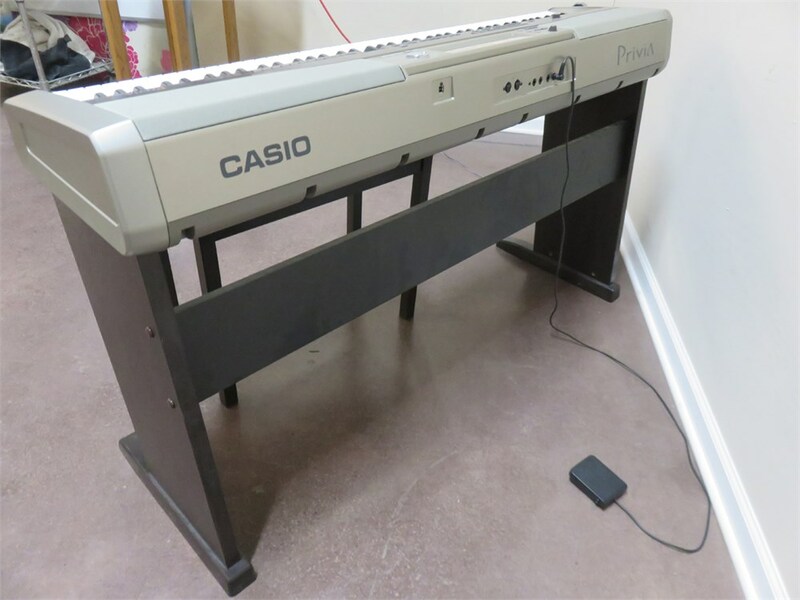 Features include some cool settings like "duet function" for those that are in the process of leaning to play the piano, it allows for the student and teacher to play parallel to each other, the keyboard can be divided into two keyboard areas. 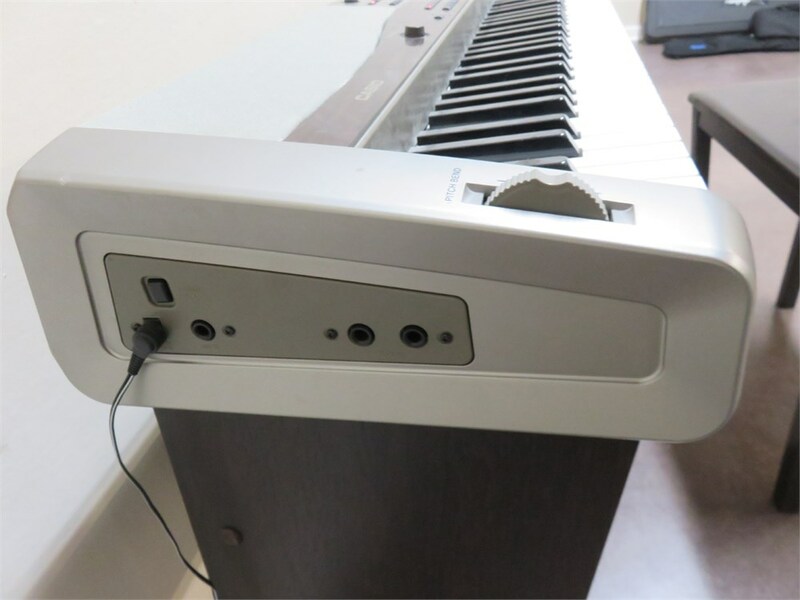 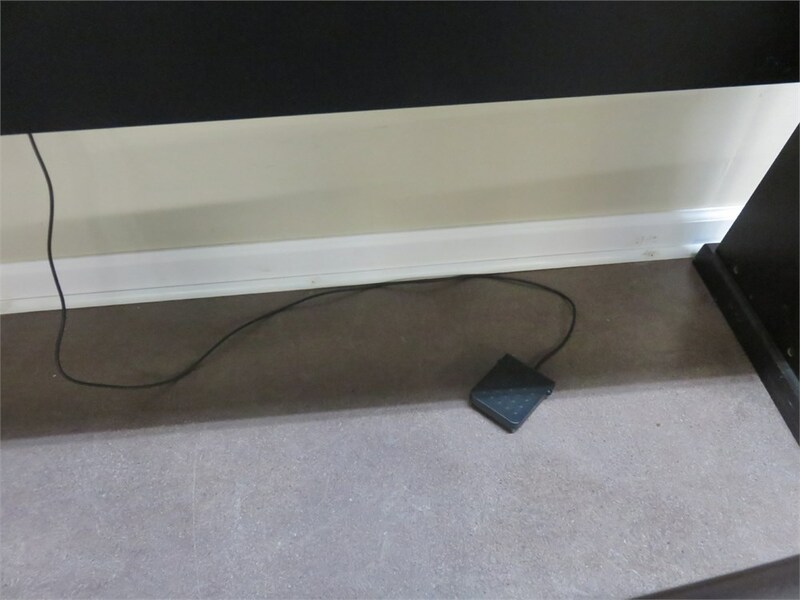 It has two headphones connections, midi port and comes with the pedal and adapter as well. 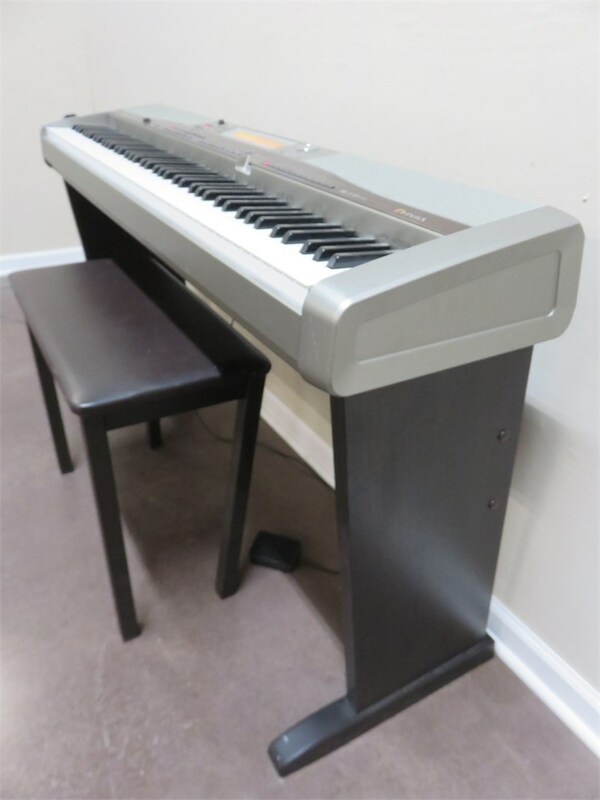 Under the Grand Piano option there are two settings, one is "classic" a soft discreet sound and then there is "modern" which is a more brighter sound. 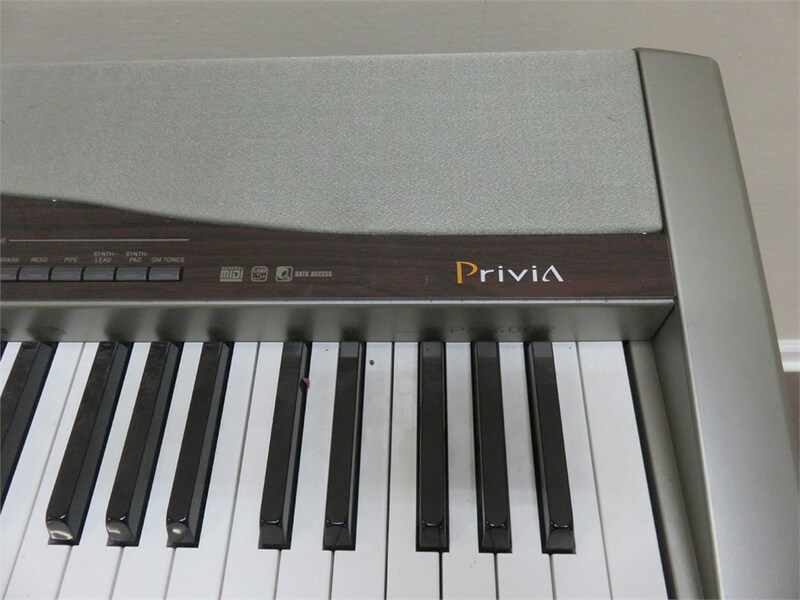 The piano has other features such as; 20 piano rhythms, including drum sounds, 4 reverb and 4 chorus effects and about 50-60 songs, this is all built-in. 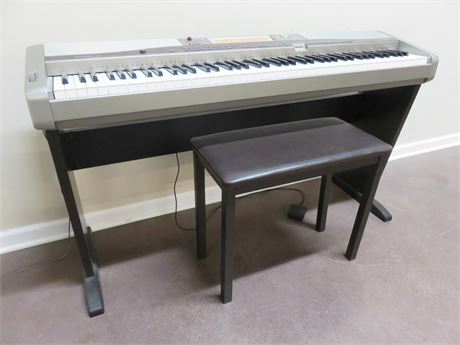 Finally, it has scaled hammer action, the weighted keys are based on concert piano keyboards which make for an authentic acoustic piano feel.